A £50 per week non refundable deposit is required to secure your booking. The balance is to be paid 4 weeks prior to the start of your holiday. A £50 refundable damages bond will also be required to cover any damages or loss of items from the caravan, which will be payable along with the remaining balance, this will be refunded upon completion of inspection/ cleaning of caravan after your departure. Bookings made within 4 weeks prior to the start of your holiday date must be paid in full at the time of booking! Payments can be made by cheque or bank transfer. !!!! Please quote Falmouth 10 when checking availability by phone or email as we have two caravans for hire on Liskey Hill. !!!! !!!! Pillows and Duvets are provided but you will need to supply your own bed linen ( duvet covers, pillow cases and sheets ), tea towels and bath towels !!!! !!!! Dogs are welcome to holiday at no extra cost but we ask that they are kept of the furniture and are not left unattended in the caravan! Dogs must be on a lead at all times when out on the site !!!! When enquiring if you could Quote caravan Falmouth 10 and give the dates you are looking for and for how many guests(adults & children) and any pets in your party. If you could leave your mobile number if possible,thank you. Please feel free to email, call or text me for any extra information at any time!!! We would like to welcome you to our families 6 berth 3 bedroomed luxury caravan situated in a prime location overlooking the countryside and the beach on Liskey Hill Holiday Park. 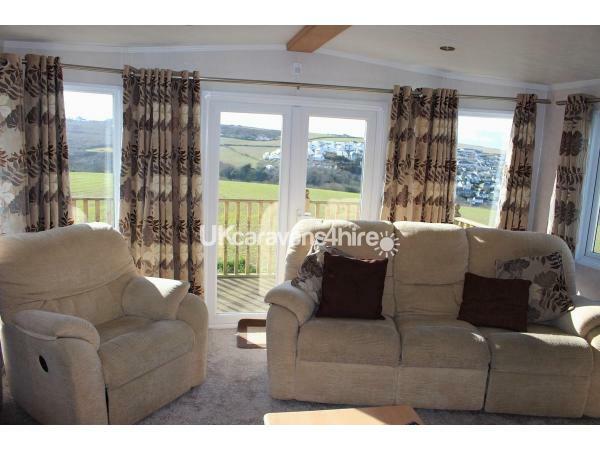 With outstanding views of Perrancoombe valley right down to Perranporth and its beautiful 3 mile long sandy beach as seen on BBC TV "Seaside Rescue". Our luxury caravan Falmouth 10 comes equipped with everything you will need to enjoy a totally relaxing stress free holiday! The kitchen is fully equipped with a fridge and freezer, oven and hob, dishwasher, microwave,kettle and toaster and all utensils required, but for those wanting a relaxing cooking free holiday Perranporth is just a two minute drive away with a variety of pubs, restaurants and takeaways to suit all tastes. The living area is equipped with a 40" TV with built in DVD player with a selection of DVD's for you to relax in the reclining chairs and sofa on the occasional inclement day. With patio doors which lead out to the decked area. 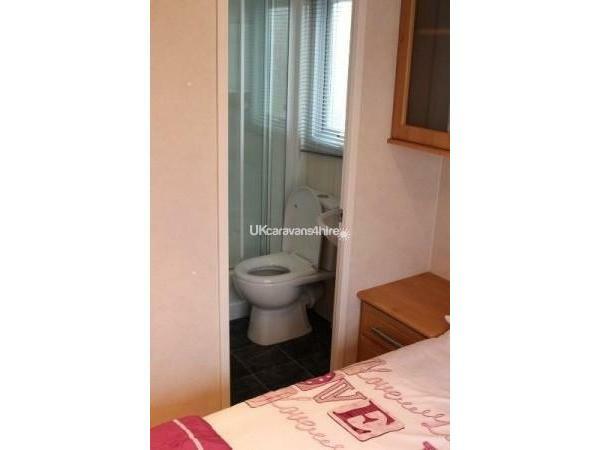 The 3 bedrooms consist of 2 twins and 1 double. 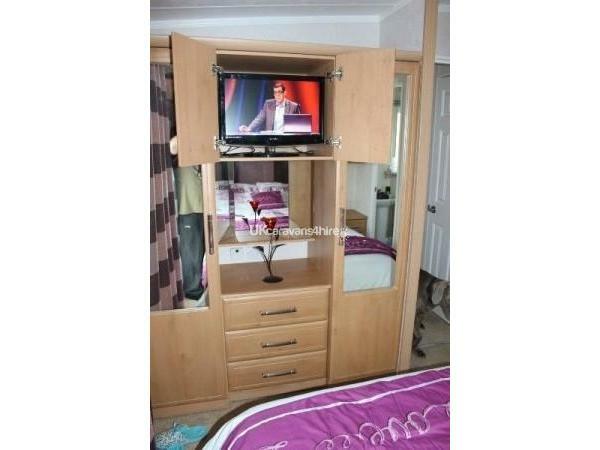 The master double has an ensuite shower bathroom and also TV/DVD. 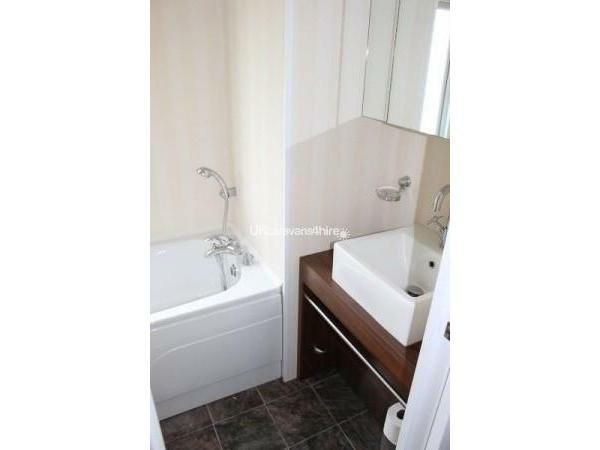 The main bathroom consist of toilet.sink and 3/4 size bath and hand held mixer shower. Outside the caravan is the newly installed totally enclosed decked area with table and chairs for you to unwind with a chilled drink and take in the sunset over wonderful country views after a long day on the golden sandy beach. Beside the decking in a storage box is a selection of beach toys and games for the kids to use to make their stay more enjoyable. Also in the storage box is a charcoal barbecue with all utensils for you to use. We hope you love our caravan, Liskey Hill and Perranporth as much as we do, which is why we make the 1500 mile round trip from up here in North West Scotland. Thank you Shane for the lovely review, so glad you like the “makeover” Wishing you lots of happy times in your own caravan ???? Just back from a week in Norma’s caravan and can honestly say we had the best time. 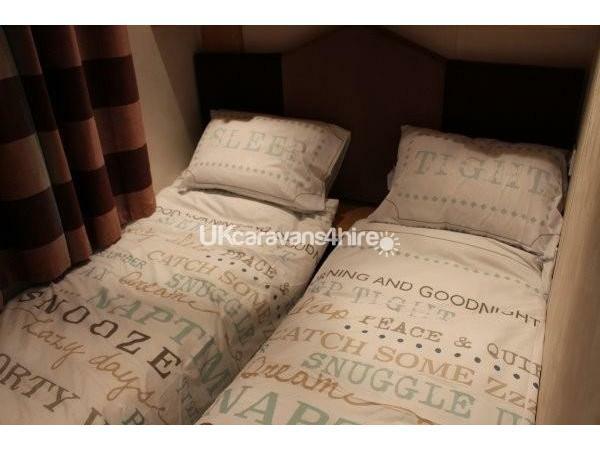 The caravan was so comfortable from the reclining chairs in the living area to the soft thick pile carpet, powerful shower, comfy beds and all the thoughtful touches. The view from the decking was gorgeous and we enjoyed eating outside on the wooden garden furniture. 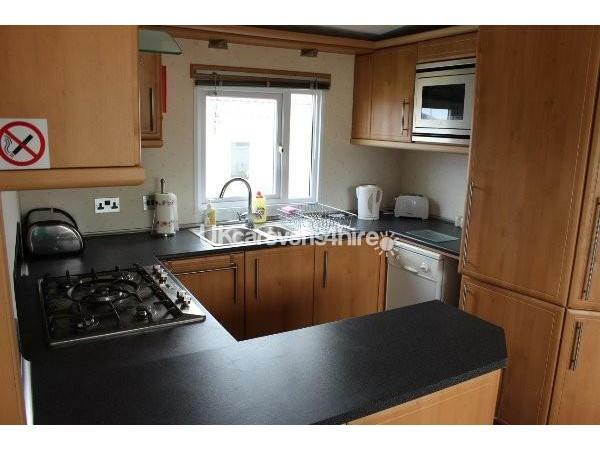 The caravan was very clean and the kitchen had everything you needed including a dishwasher which was a bonus! We really enjoyed coming back and relaxing in the caravan after a day exploring Cornwall. 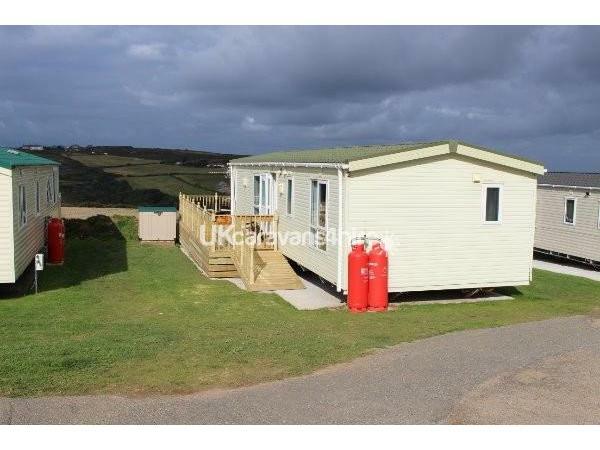 Highly recommend this caravan and loved Perranporth as well. Fantastic caravan! Spacious, comfortable, warm, cosy, well equipped....the list is endless! 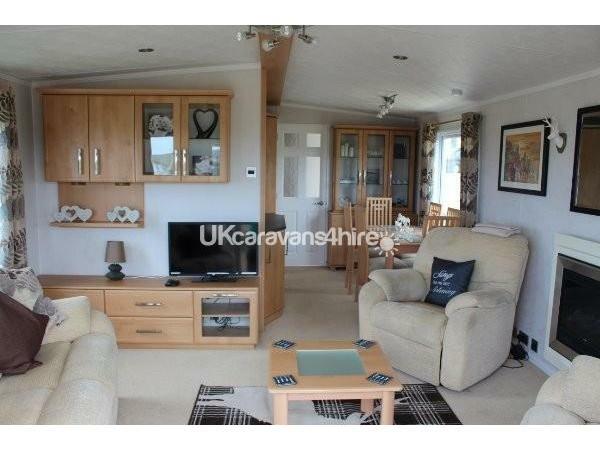 A really enjoyable week spent in this caravan, and would recommend to anyone. Thank you for making our holiday, a happy and memorable one. Well , ANOTHER brilliant holiday at this lovely caravan . Clean spacious and peaceful. With a perfect veiw of the beach. What more could I want....... Thanks again.?????. Great caravan ,In a great position of countryside town and sea,Love the reclining furniture ,Dishwasher was a bonus,This is the first caravan we have had with a veranda it was another bonus with the dogs,Also great to have ensuite in main bedroom ,Thanks Norma for a fab week . We found Liskey Hill 2 years ago, we enjoyed it so much we booked for the following year there & then, only to find out January 2016 the caravan had been sold. We did a search not expecting to find anything available for 3 adults & 2 dogs in June, until I found this one... We really landed on our feet with this one! 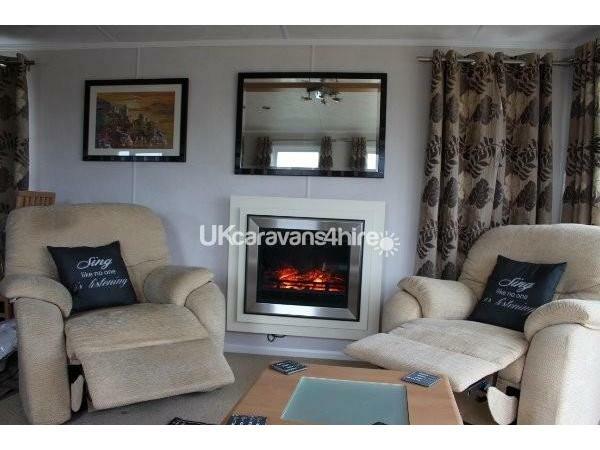 My dad is disabled and found the arm chairs & the sofa very comfortable (which for us is a major plus) The caravan itself offered everything you could want for a week or more, I know it's not essential but it was lovely having the dishwasher as you could be 100% guaranteed that everything is clean. What more can i say that hasn't been said before. Thank you Dena & family If distance was no object we would definitely be back, but I think this was my parents last trip to Cornwall. Thanks for giving us the choice of duvets & pillows, this was a plus as not everyone likes one type. Fantastic caravan for our family with our son being 2yrs old . 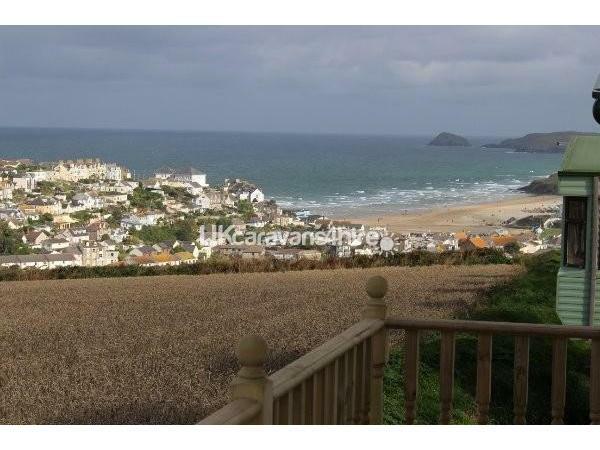 Very homely and clean.The location is perfect for the village and beach with a easy walk down hill into perranporth. 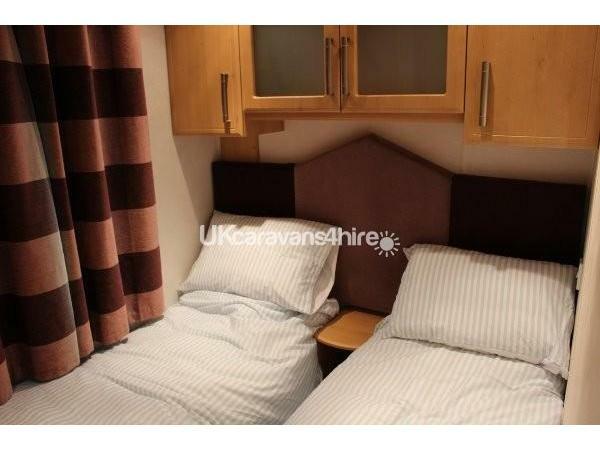 We have stayed on this site twice before in two different caravans but will definitely try to book this one again. Thank you for your lovely comments and glad you enjoyed your holiday.. Superb holiday accommodation, spotlessly clean, furnished with great style and with comfort a forethought. 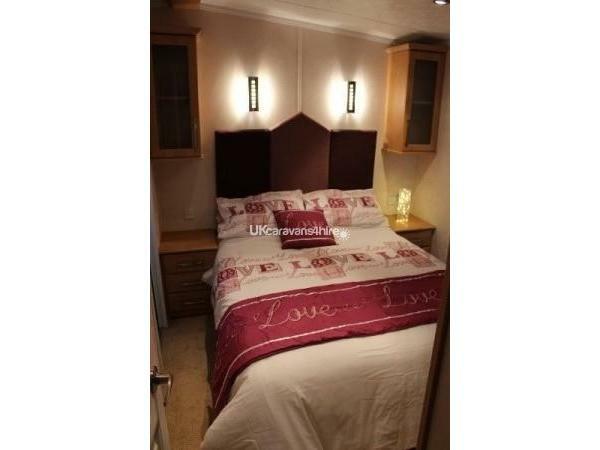 We would be very hard pressed to find anywhere as impressive on any caravan site. The only problem we found was that our holiday wasn't long enough. We look forward to returning next September.